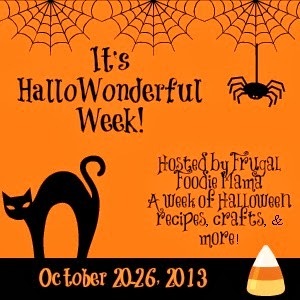 Happy Hallowonderful Week Frugal Foodie Mama readers! I'm Susan from Love in the Kitchen where I share my passion for cooking easy and tasty homemade food with fresh ingredients with you. I love Halloween, and I love all things pumpkin. 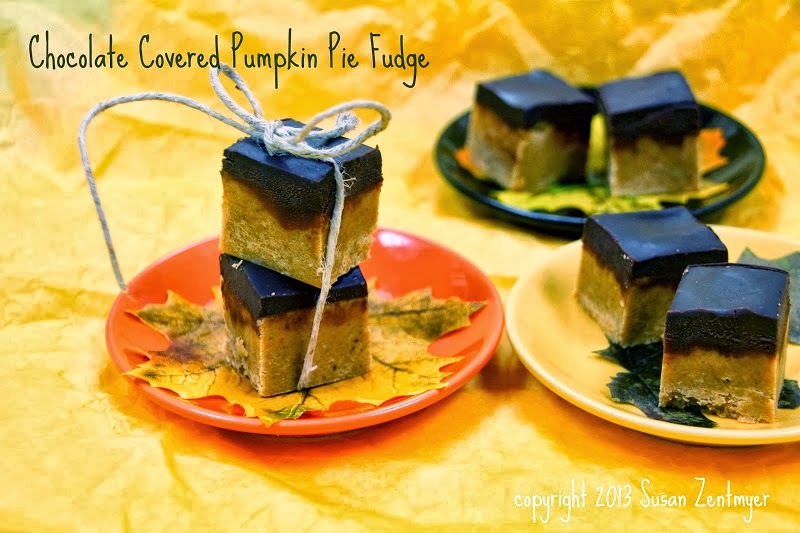 Today I am sharing one of my favorite Halloween treats - Chocolate Covered Pumpkin Pie Fudge. Decadent fudge, laden with pumpkin pie spice and then covered with a thick layer of even more decadent chocolate. Oh my! This will delight even folks who are not pumpkin fans! Sound good? Then come on over to Love in the Kitchen where I will show you how to whip up this decadent treat in no time! I hope to see you there - and thank you Carrie for the opportunity to share this with your readers. I hope y'all have a spooktacular Halloween! Today is the LAST DAY to get entered in the giveaway for a $50 Target or Walmart Gift Card to help out with your last minute Halloween shopping! Click the link below to get entered! !